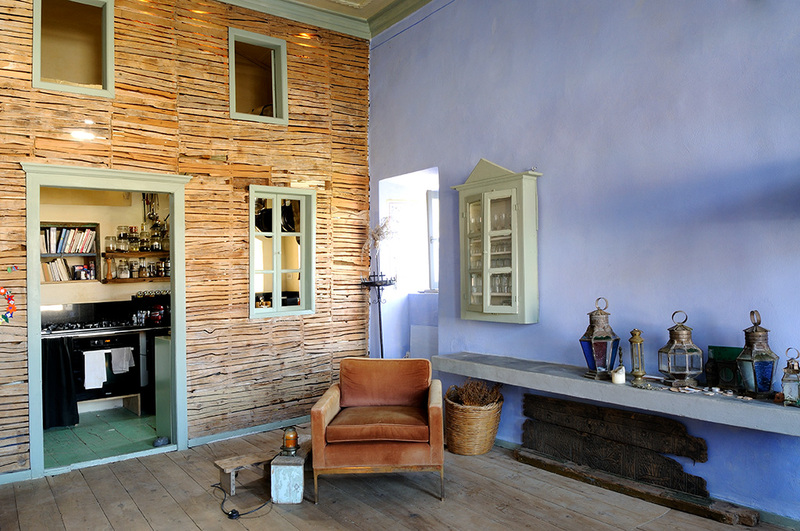 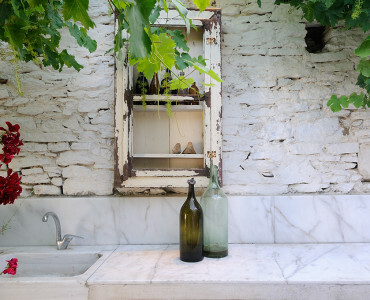 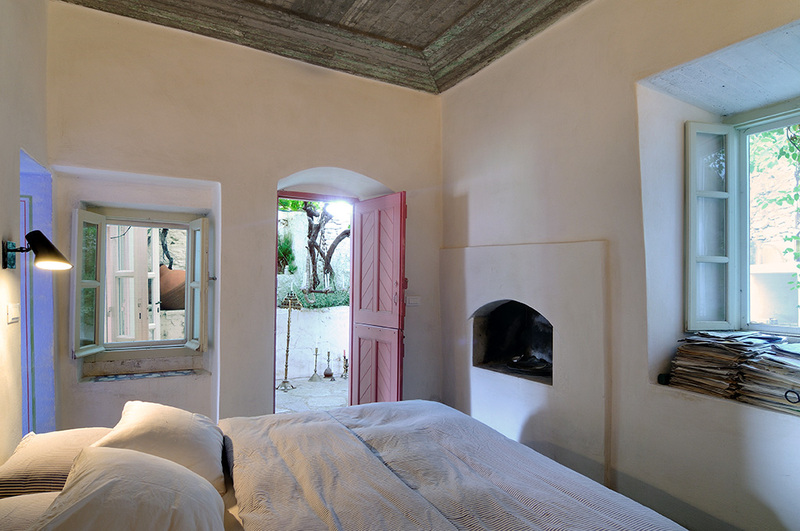 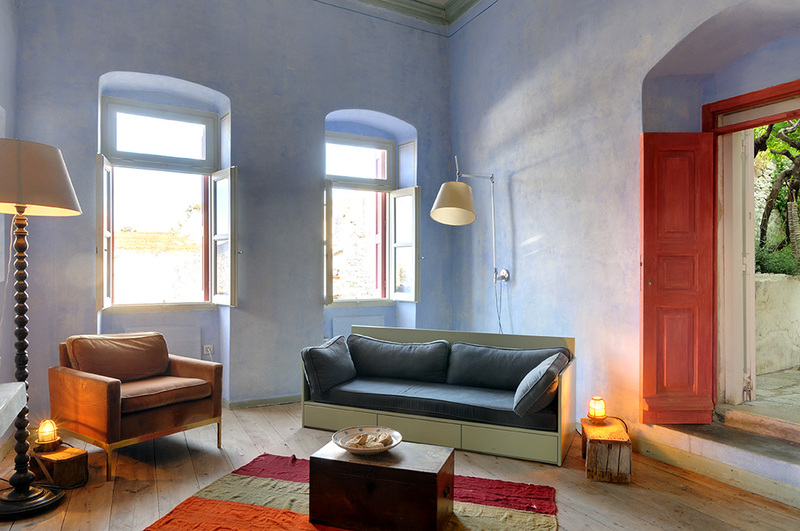 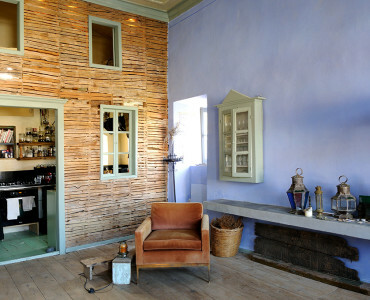 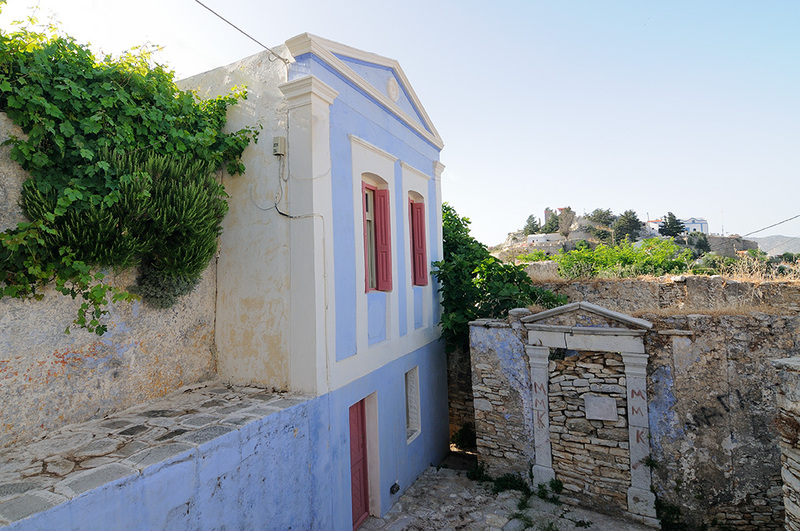 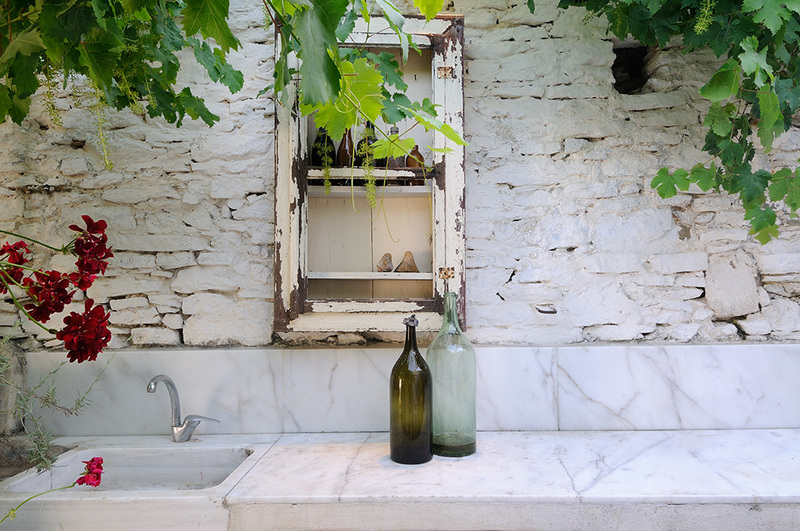 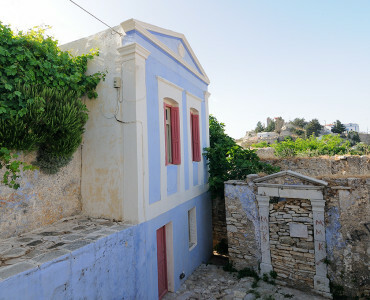 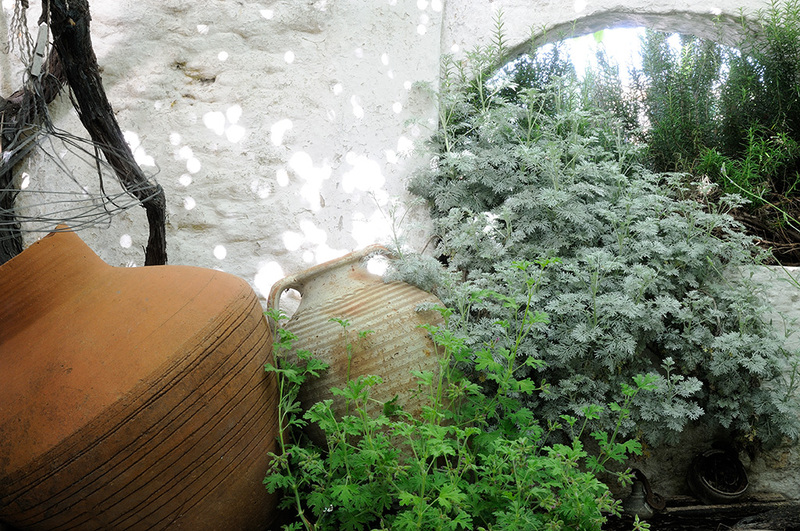 Tucked away in the sleepy upper town of Symi, this architect’s home brims with character and charm. 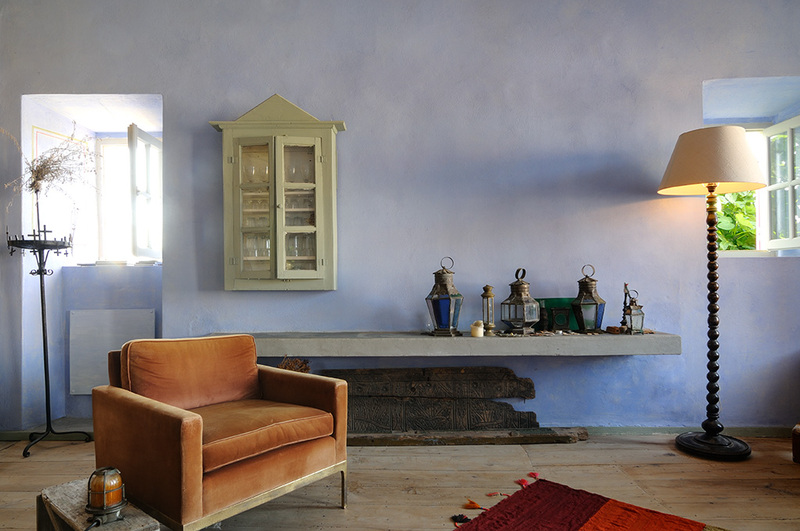 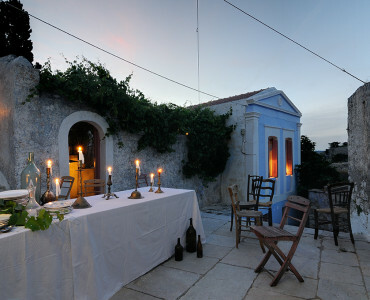 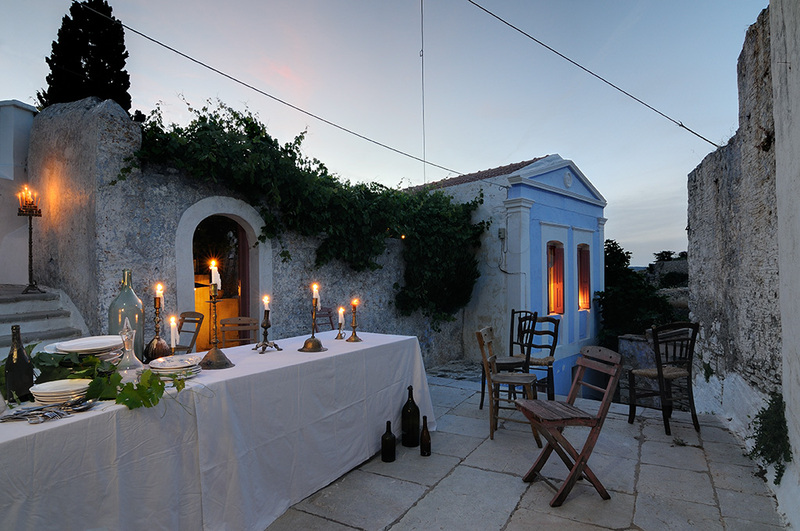 Strong colours and rich textures, typical of the island’s neoclassical architecture, are combined with eclectic antiques to great effect. 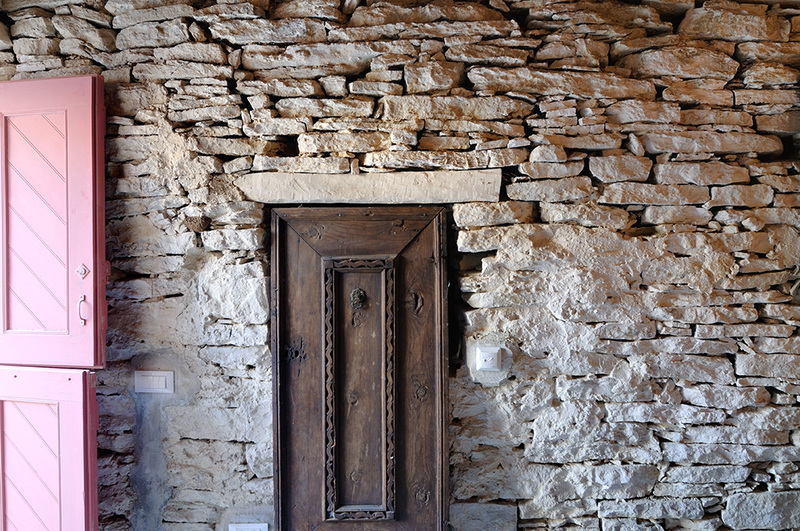 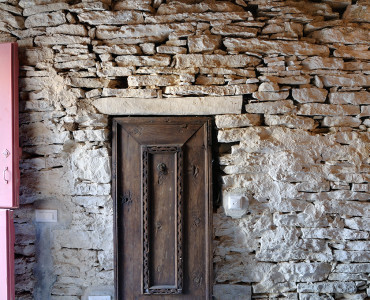 Original features and local treasures have been salvaged and repurposed, from wood carvings to church candelabra. 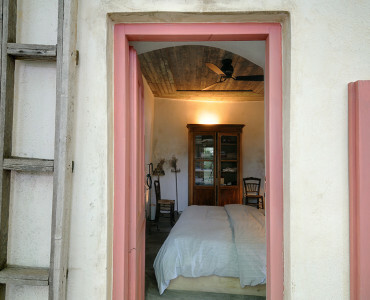 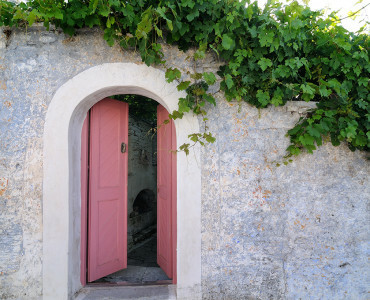 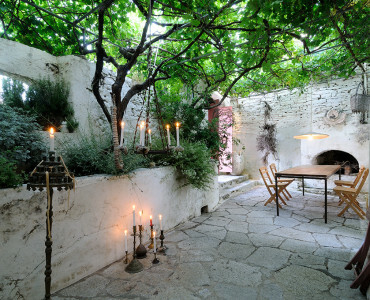 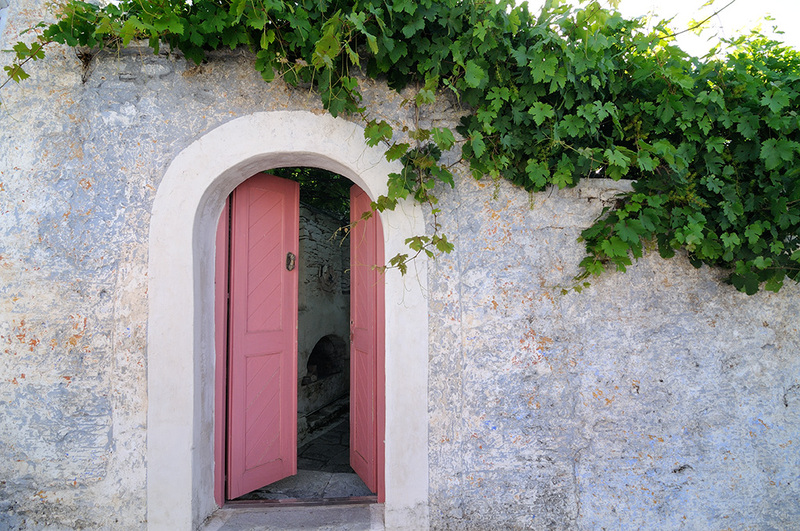 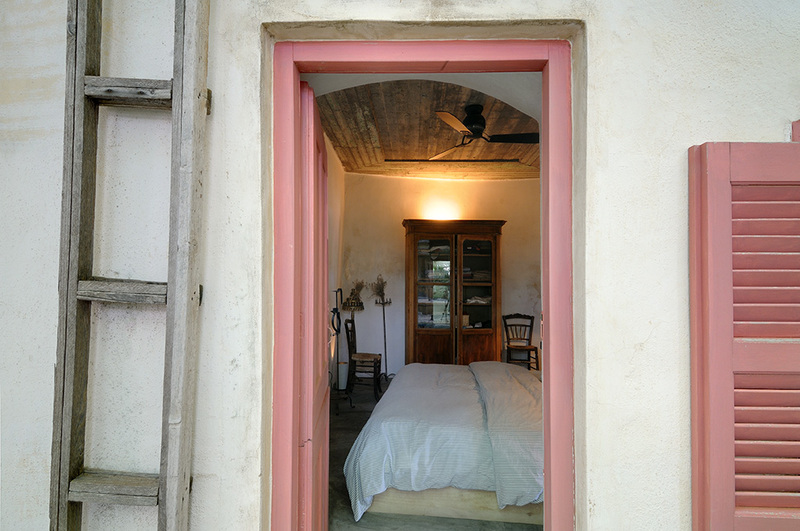 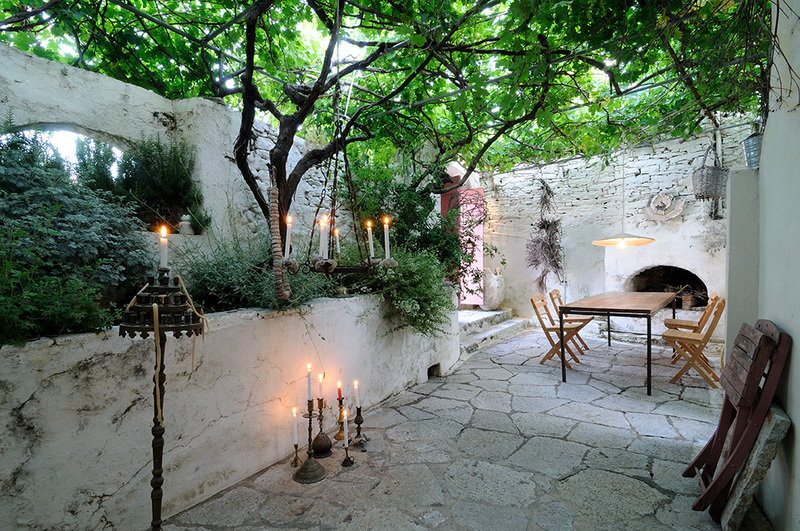 Through the pink doorway, a vine-covered patio offers absolute privacy. 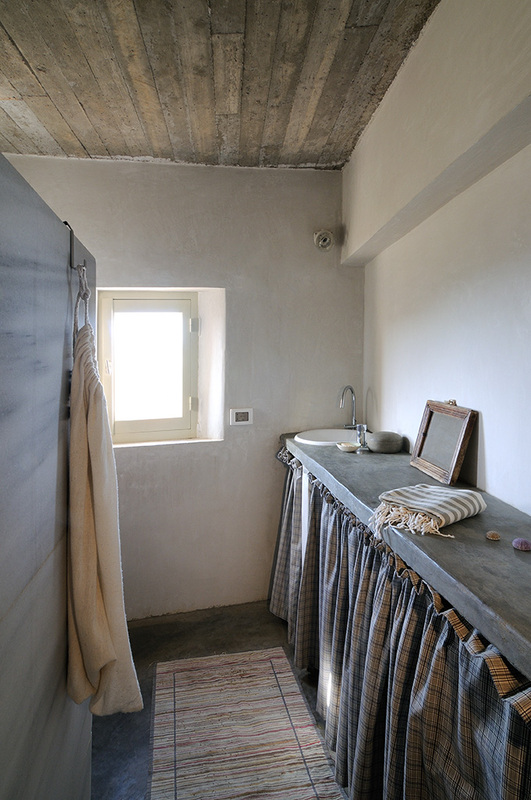 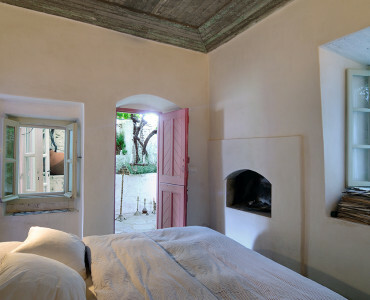 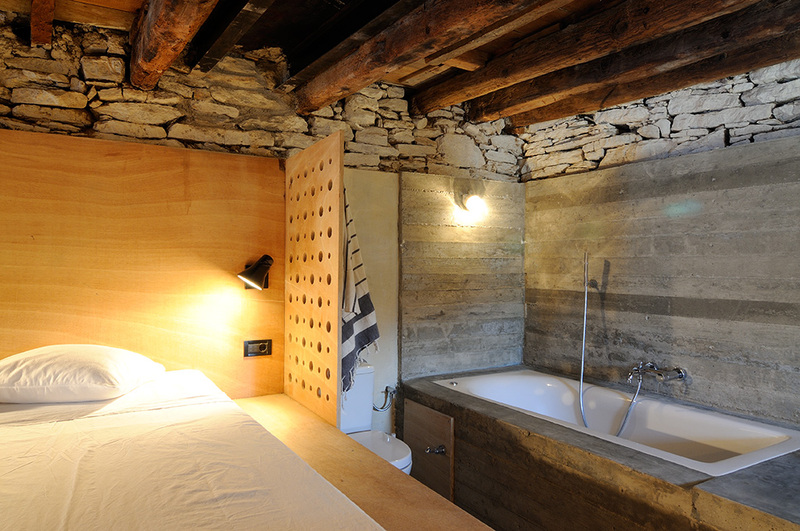 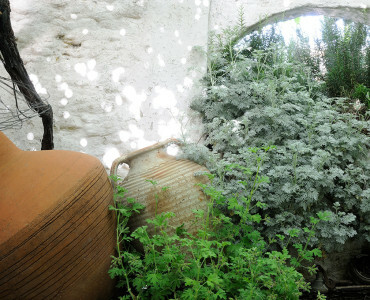 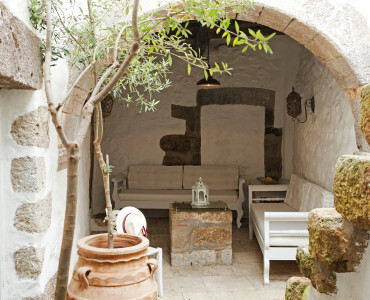 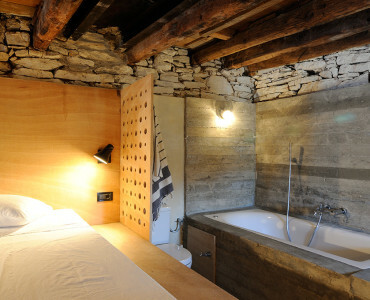 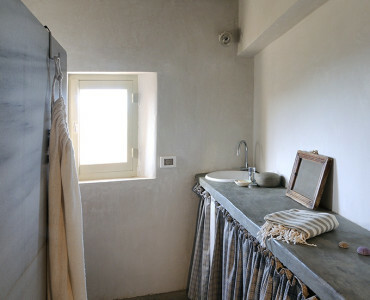 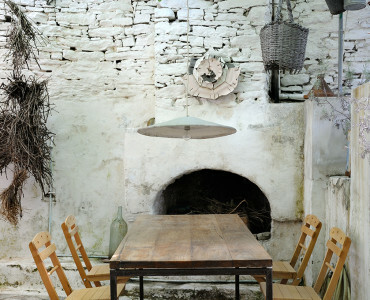 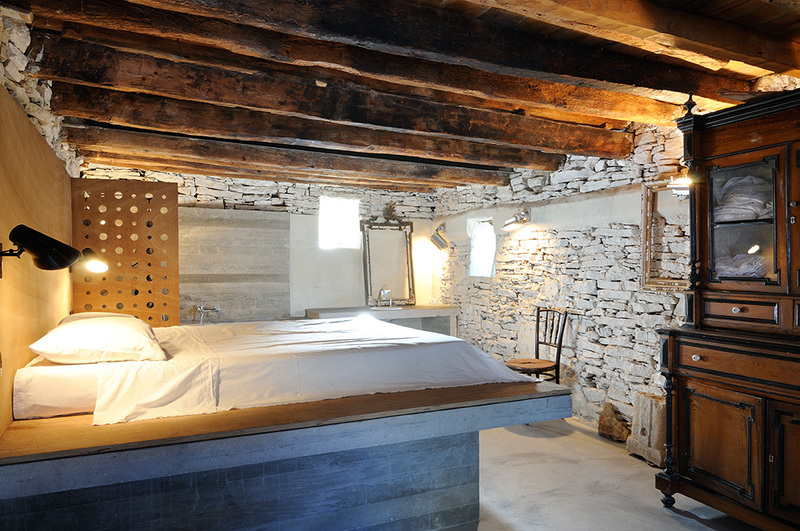 Below the main house, the guest annexe is a striking fusion of whitewashed stonewalls and raw concrete. 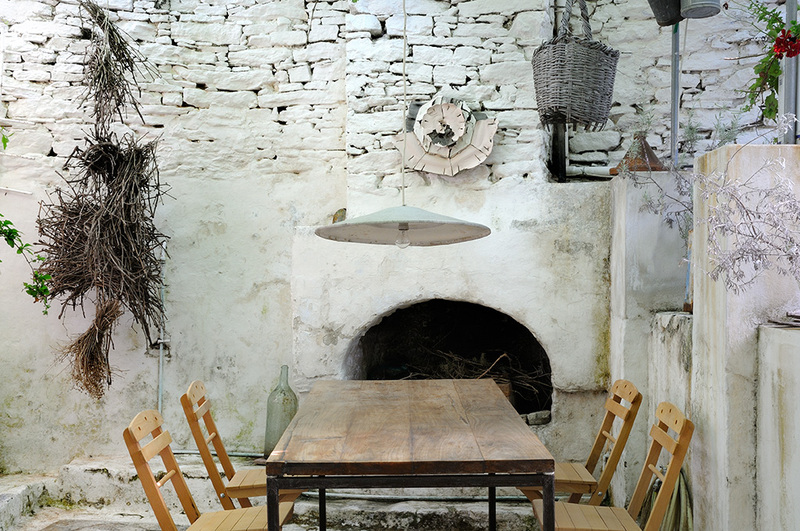 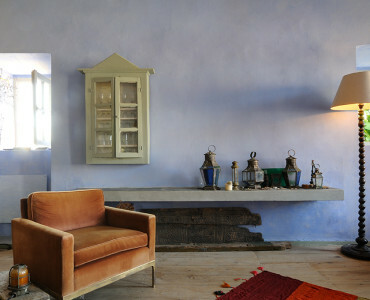 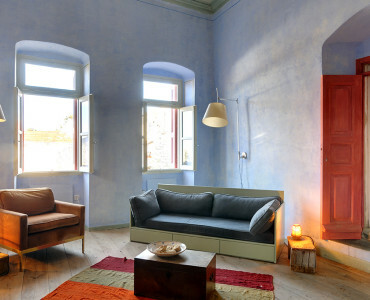 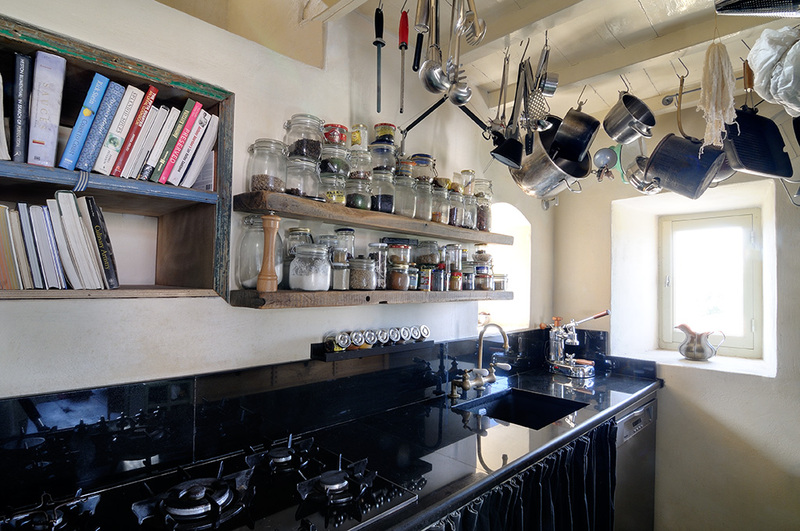 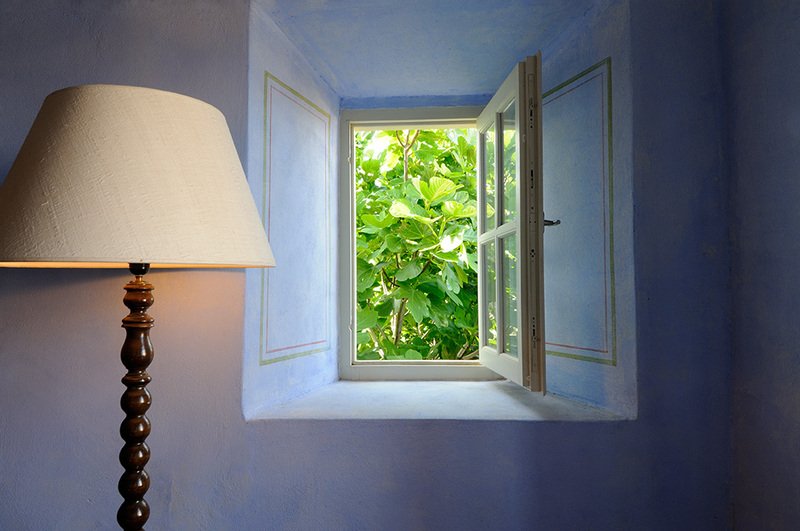 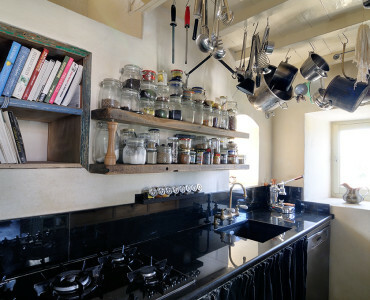 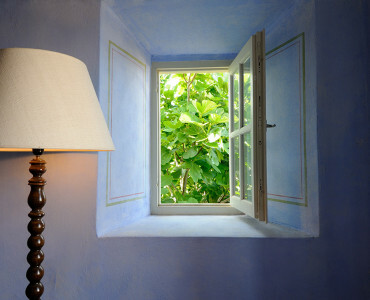 Well loved and low key, this is a home for design lovers and escape artists.